Rice University synthetic organic chemist Dr. James Tour’s research spans from nanomachines that can drill into cells, such as cancer cells and super bacteria, and kill them, to graphene nanoribbons used in spinal cord repair. 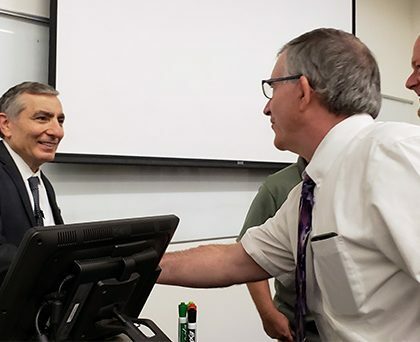 But his College of Science, Engineering and Technology One Foundation talk on Friday also focused on his faith and how it has played the biggest role in his life and his scientific success. 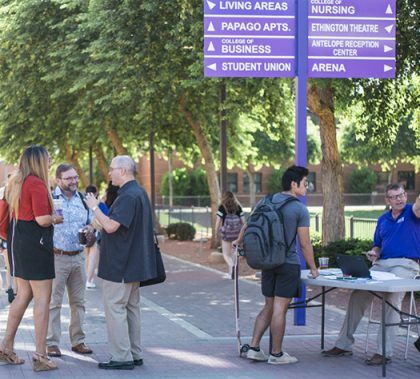 Grand Canyon University continues to be asked why it does not participate in the U.S. News & World Report college rankings, which came out this month. 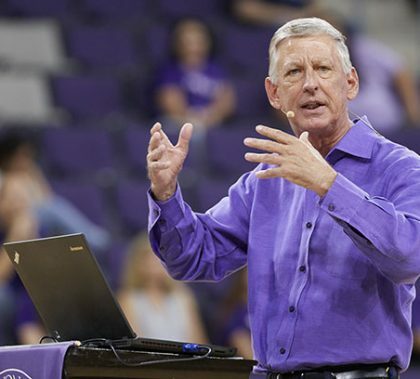 President Brian Mueller issued a statement explaining the University’s decision: GCU believes that the rankings do not measure things that are important to the learning outcomes of students. 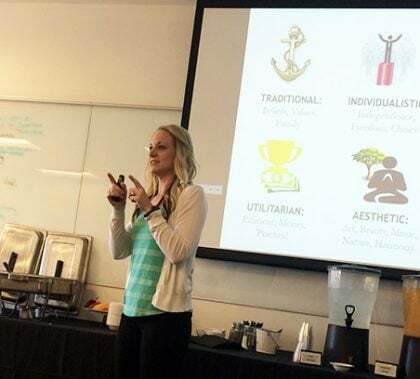 A mixture of logical debate strategies for pro-life arguments and anecdotes about the sanctity of human life highlighted GCU’s second annual Bioethics Conference, Human Dignity: Clash of World Views. 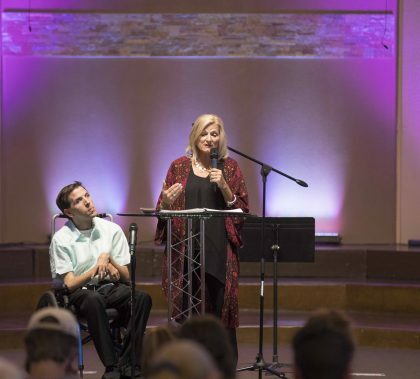 One speaker refused to abort her daughter and refused to use stem cells from fetuses to aid her brain damaged son. Another speaker shared heartfelt steps to ease grief from the loss of a newborn. 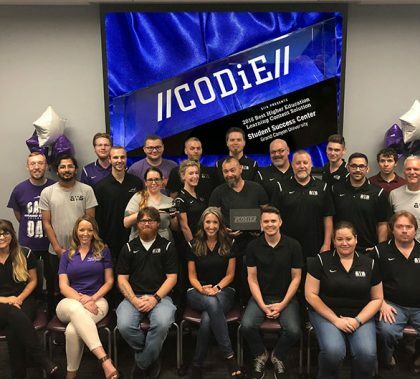 The Academic Web Services Department has developed an an award-winning online resource that’s a one-stop shop for GCU students. 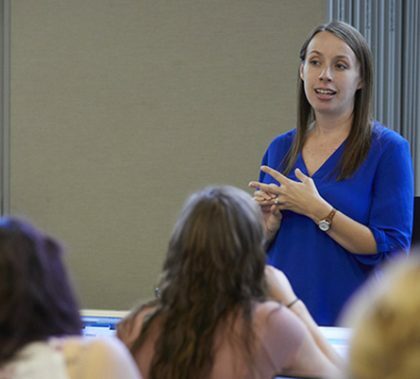 In the year since its inception, the Student Success Center’s propietary search of more than 1,000 resources already has been used nearly 1 million times. Department Director Miranda Hildebrand says the website is useful to the point where her son’s high school teacher has been using it at the high school level. The College of Science, Engineering and Technology is taking a unique approach in helping their freshmen engineering students “find their God-given purpose,” as CSET Dean Dr. Mark Wooden calls it. As part of their curriculum, those students take a comprehensive personality and career assessment called the Indigo Assessment. “We were looking for something that would help incoming students determine early on whether their choice of an engineering major was truly in line with their internal motivators and capitalized on their unique strengths,” said Wooden. 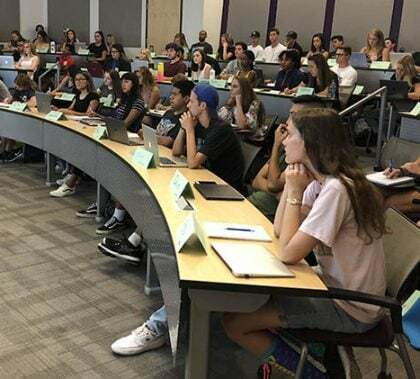 New students at Grand Canyon University have a multitude of ways to connect, and one of the most important is the First-Year Experience program. They are urged to visit one of the 15 Academic & Career Excellence Centers (ACE) on campus, which are called “the epitome of concierge service” by Dr. Joe Veres, Vice President of Student Development and Outreach.